Paul directed by Greg Mottala, written by and staring Simon Peg and Nick Frost along with Kristin Wigg, Jason Bateman and a slew of others is geared towards the geeks and nerds but keeps itself in safe territory so everyone else can enjoy it. Think of it like this year’s Galaxy Quest except with swearing, violence and drugs. The plot goes like this: Two british nerds jaunt from Comic Con to the Arizona to visit UFO hotspots in the Southwest only to find their trip is sidetracked when a real live alien hitches a ride. By now, Simon Peg and Nick Frost can almost do no wrong in my book and I cannot wait for Attack the Block to arrive since it’s getting excellent reviews at SXSW. While I missed the years Kirstin Wigg was on SNL, she was a great addition to the merry band of nerds being chased by federal agents played by Jason Bateman, Bill Hadar and Joe Lo Truglio. And, for the most part it works. Greg Mottala manages to handle all of these actors and the nerd speak/homages quite well and while sometimes the jokes fall flat it doesn’t feel like Edgar Wright-lite. 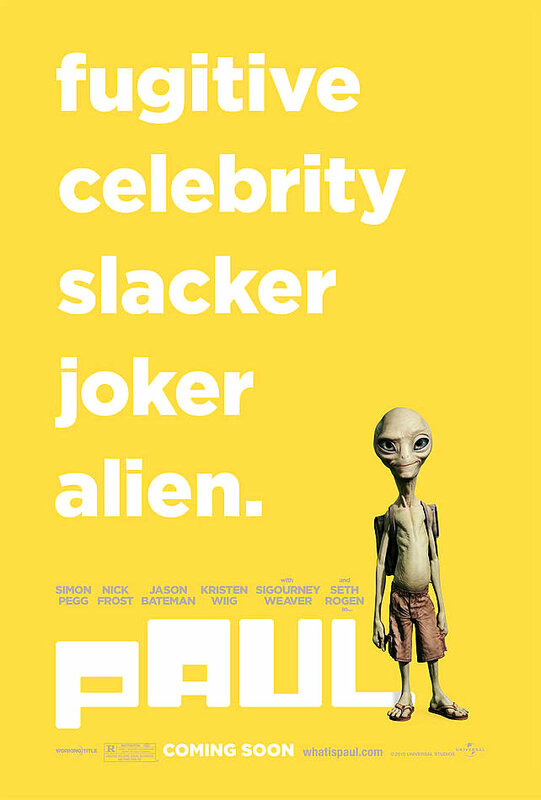 The SFX of Paul, voiced by Seth Rogen did not hinder the movie, many times the alien is make or break and daylight shots are even worse many times. But, the SFX of Paul looked good in my opinion, he felt real. Overall, was fun movie to watch as a replay value like Shaun and/or Hot Fuzz, I think it’ll hold up.